Unique, accent wooden lamp made of solid lime wood and metal shade. Especially for you as an accent for your home, it will give new meaning to the concept of light. 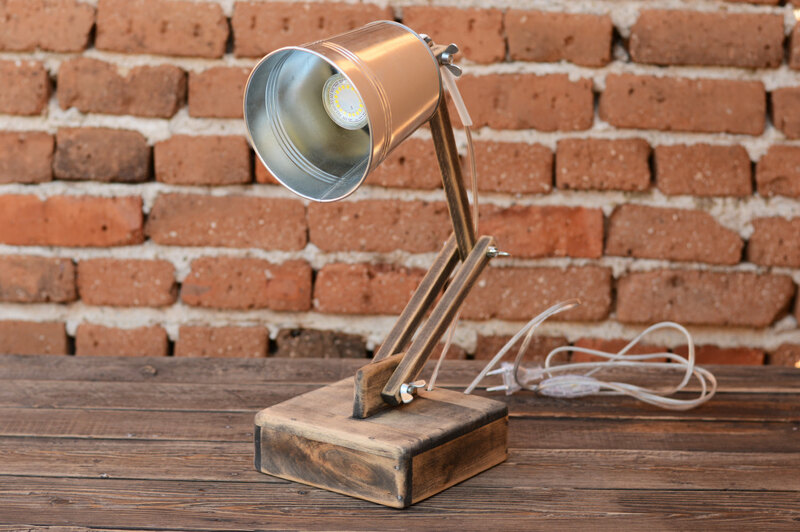 Use the lamp as a faithful helper in the work, resting with a book or simply as a stylish decoration for your home. Each lamp is completely handmade and with precision to detail. For it`s proper storage we have treated with teak oil. Lamp is unique and has no parallel.